The Sitcom Class Wars: The 20th Century. By Ray Starman. Troy, NY: Troy Bookmakers, 2014. 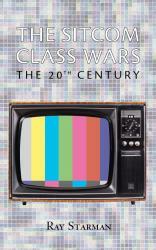 In The Sitcom Class Wars: The 20th Century, Ray Starman provides the reader with a sitcom- based look at how class was represented on television in the twentieth century from The Goldbergs to King of Queens. Starman argues that class issues have been a key component of many television sitcoms, and these offer a basis for the relationships between characters and the thematic elements present in the storylines. Starman begins his book with a brief discussion of the progression from radio shows to television sitcoms after World War II. Following the introduction, Starman presents the reader with an overview of 32 television sitcoms in the twentieth-century. In each synopsis, he focuses on the economic and class dynamics struggles of the characters and families in each series. Of all of the television shows he examines, Starman spends the most time dissecting the class issues present in I Love Lucy, The Honeymooners, and Seinfeld. In these chapters, Starman supports his arguments by referencing specific episodes and allowing the reader to pinpoint precise examples of class in the television sitcom. For instance, Starman argues that in I Love Lucy, Lucy strives to step outside of the bounds of her middle-class position. Lucy’s often-frustrated aspirations of self-improvement– and by extension, upward mobility–are generally the fodder for humor. Additionally, there are interesting tidbits of information scattered throughout the book showing the depth of Starman’s research. For instance, in his review of The Honeymooners, he corresponded with Joyce Randolph, the actress who played the role of character Ed Norton’s wife Trixie, in order to understand the reasons for the different apartment furnishings and how these material elements communicated class issues. Starman concludes the book by providing a detailed glossary of over 25 television sitcoms mentioned but not examined throughout the text. The strengths of Starman’s text lie in the variety of programs he presents and his discussion of the progression of the television shows throughout their tenure. Additionally, for certain shows he provides the reader thorough links to what he calls “sitcom class wars.” However, there are several loose ends present in this book. For instance, although Starman hints at what he means by “sitcom class wars” throughout the text, he never actually defines them. Providing the audience with a clear definition of this phrase in the introduction would help the reader more accurately frame the content of the book. Additionally, the conclusion offers the audience a discursive justification for why military comedies are not included in the book, but he does not offer an overall conclusion of the material he does discuss. A final chapter presenting an overview of the relevance and significance of the focus on class issues throughout the history of television sitcoms and speculation about where class plays a part in current and future sitcoms would have been helpful to the reader. The text could also benefit from closer copyediting to catch typos and misspellings. While we have a multitude of texts that examine issues of gender, race, and sexuality in television programming, Starman provides us with an examination of television sitcoms through the lens of social class, something that has been largely missing from previous texts. Starman’s book provides good reference material for students and professors interested in learning how the construction of class in television sitcoms plays an intricate role in character and narratives formation. 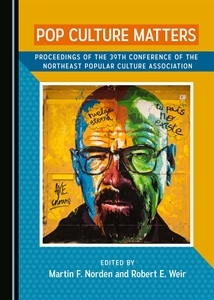 Starman’s text could be used to teach students about comparative analysis of television sitcoms as they relate to current economic, political, and social events.